Our new IQ-501 Intelligent Quality Optimizer takes color consistency and registration accuracy to the next level. 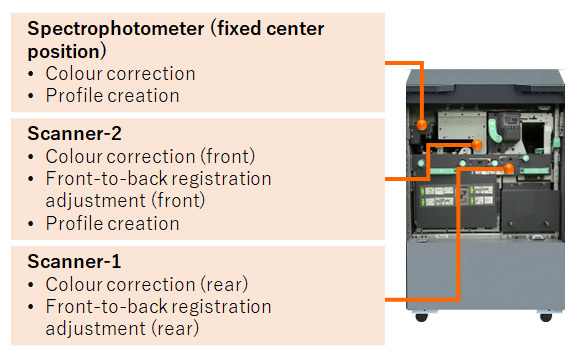 With highly automated image registration and color control, a closed-loop system that constantly monitors and adjusts printed output, and automated color calibration and profiling, IQ-501 Intelligent Quality Optimizer delivers streamlined operator time, reduced print waste, and industry-leading productivity! This is currently available on our AccurioPress C3070 / C3070P / C3080 / C6100 / C6085 / C73hc / C83hc, AccurioPress 6136 / 6136P / 6120 models. Substantial reduction in adjustment time. Does not require special skills. It is necessary to perform it prior to output of jobs where faithful colour reproduction is essential or when the printer profile is changed. The results of measurements of colour differences between the printed colour and the reference colour are reported. 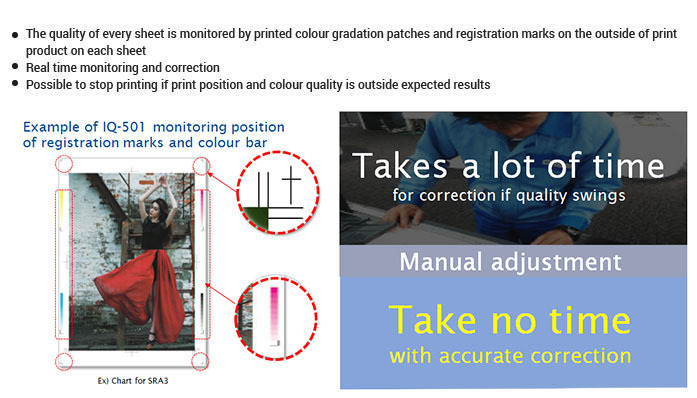 Colour and registration are automatically adjusted to the correct values during production printing. Real time corrections for consistent quality. 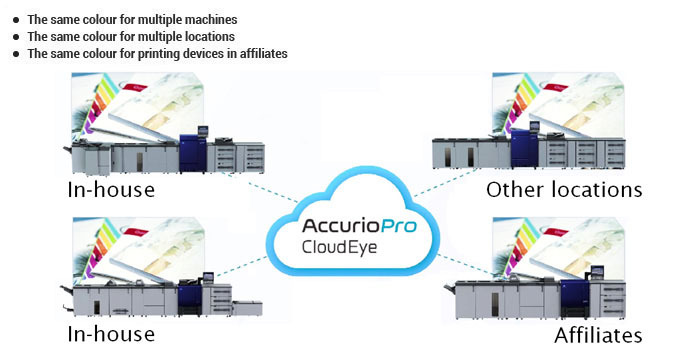 Centralised colour management for all machines in a location.